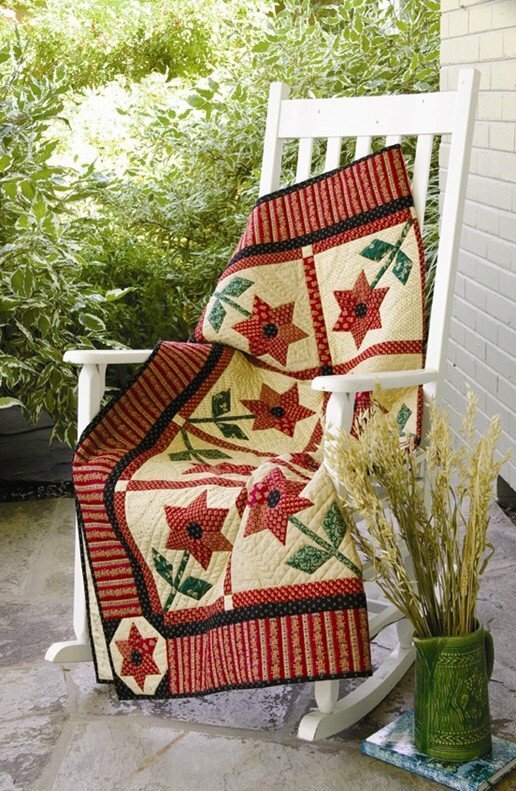 Take pride with the finished result and create a quilt as beautiful as a day in the park. Relax and enjoy the technique of English paper piecing as you make the flower blocks, then complete the quilt with sashing and a simple border treatment. Pre-cut paper pieces and general English paper piecing instructions included in pattern. Finished size : 55" x 55"